and earn points towards free products? ​Contact me for details or click here. There are many essential oil companies on the market. 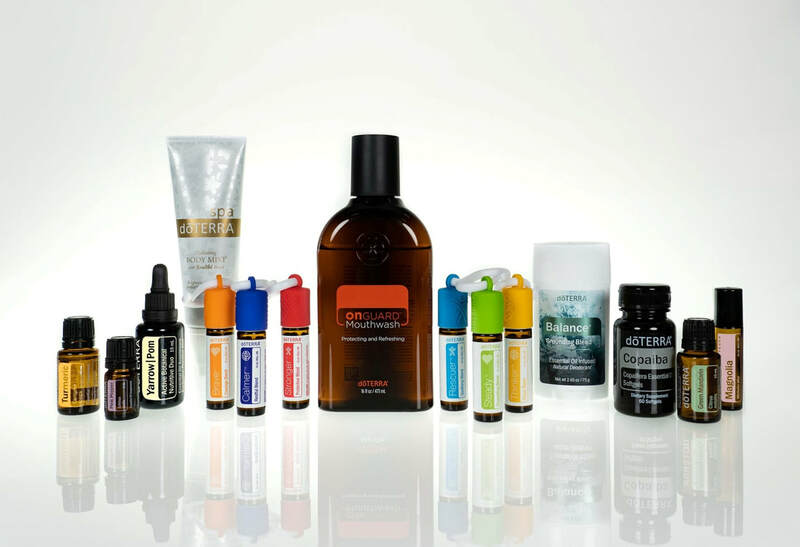 If you want to know that you are using the purest oils available with consistent quality, CPTG is your answer. DoTERRA essential oils are certified to be pure, of high quality, and many can be taken internally. Please attend one of my free classes to find out why this is so important. ​Click on this link to get extra discounts on membership kits. Click Here to purchase directly online. ​Why I think quality matters. Purity levels that are verified by third party testing laboratories is important. Organic certification varies from country to country and state to state. Oils are sourced all over the world, so that is why organic certification is not possible. Third party verification is one of the ways to ensure oils are free of pesticide, herbicide, extenders and solvents. A company that uses an In-House lab is concerning. Would you rather buy a pineapple grown in Wisconsin or Hawaii? Choosing hand pick farmers and telling them how to harvest, what time of day, and even what time of year to harvest to make sure the oils are the highest quality is key. Consider the part(s) of the plant from which the oil was produced, soil condition, fertilizer (organic or chemical), geographical region, climate, altitude, harvest season and methods, distillation process, the amount of dew on the leaves, the proper altitude, the percentage of plant in bloom, the weather conditions during the two weeks prior to the harvest, the exact part of the plant used, and the way the botanical is stored prior to distillation. And of course make sure that the oils are extracted from plants, bark, sap or citrus rinds in the right way and right temperatures to ensure all the molecular compounds are present. Plants should be sourced from the best possible areas where the plant is indigenous with the perfect soil and climate. What is in the soil such as organisms & nutrients, the rainfall or drought conditions, humidity and even length of the daylight can make a significant difference in the health of a plant. Just think of how a plant that is indigenous to Washington with it’s wet climate would do in Southern California’s dry and sometimes very hot climate. You might get it to grow, but it will never be the beautiful healthy plant found in Washington along the coast. Lavender from the higher elevations in France where it is indigenous and practically grows like a weed naturally produces a great plant. The plant is distilled for basically 2 hours and its done, no more oil is coming out so they shut the still down. Its absolutely ridiculous to think that the distiller, after watching his oil come over, seeing that his oil level is not growing, shuts the still down and then later thinks to himself “gee, I bet if I fire this still back up (wasting thousands in feul and labor) we can get some more oil out of that spent mint leaf we distilled yesterday.” Where o people come up with this stuff!!?? Now the MINT OIL can, and often is (thank God), taken for some further redistilling and/or fractional vacuum redistilling that can take place to further improve the quality of the oil by removing nauseating components of the whole oil (just tiny amounts of very bad smelling components get removed in this process). But NOBODY distills the mint biomass a second or third time. This is generally true, not just for mint, but for essential oil distillations in general. When I tried to explain it to the person posting this rubbish she basically did not believe me because her “research” of talking to retailers of essential oils apparently was of higher credibility. If people would just use some common sense they could look at this kind of misinformation and come to the conclusion that none of it makes sense. From an energy standpoint, why would anyone plan to shut down their distilling process just to start it up again later? The amount of energy required to get massive amounts of water boiling and enough steam generating to liberate the oil from large vats of biomass is quite astonishing and costly. Why not just keep distilling and just start collecting the oil produced at the tail end of the distillation in a separate container, if you want to collect what you think might be a different quality at the end of the run than at the beginning (by the way this is done with Ylang Ylang oil which is why there are the different grades of extra, I, II, III and complete). But aside from ylang ylang most all essential oil distillations are collected in one combined lot. And the only time I have ever seen a distiller shut down his process and restart it later was because of mechanical problems, running out of fuel, or just getting too physically tired to continue (in the case of sandalwood for example the distillation can go on for more than 24 hours and oil is still in the wood). I hope that this post will finally do some damage to this myth that has been circulated for decades now and we can finally put it to bed. Quality should not be compromised for quantity. I would rather have a limited quantity of amazing oils than a large quantity of low-quality oils. Essential oils that are suggested to be taken internally have Supplement Facts on the bottle. I've seen many oils on the market that say "100% Pure - Do Not Take Internally". Really?? My goal is not to put down companies, but I would be remiss if I didn't mention that CPTG products are not more expensive than other essential oil companies. So even though they go through this 3rd party testing, they not only are giving us a high quality, pure oil, but at a smaller price. Because this field is so highly regulated, it is important to have good education and ongoing support. I have learned so much about essential oils, the proper way to use them, and how safe it is to use them. There are online tools and personal contacts that are ready to share and educate. Facebook pages, online videos, webinars, up-line connections, telephone conferences, and customer service is of course very important. Find a company that has a great business model. Do your research. Just because you have heard of a company and it may be popular, doesn't mean it's the best product. ​​The basis for most of this information is available from many sources, but the Paleo Mom had a great basis for my information. I love Essential Oils, but a good diet is key in your health, too.